The clamping ring shower drain insures waterproofing integrity in your shower. Used to create a watertight seal with the shower membrane. 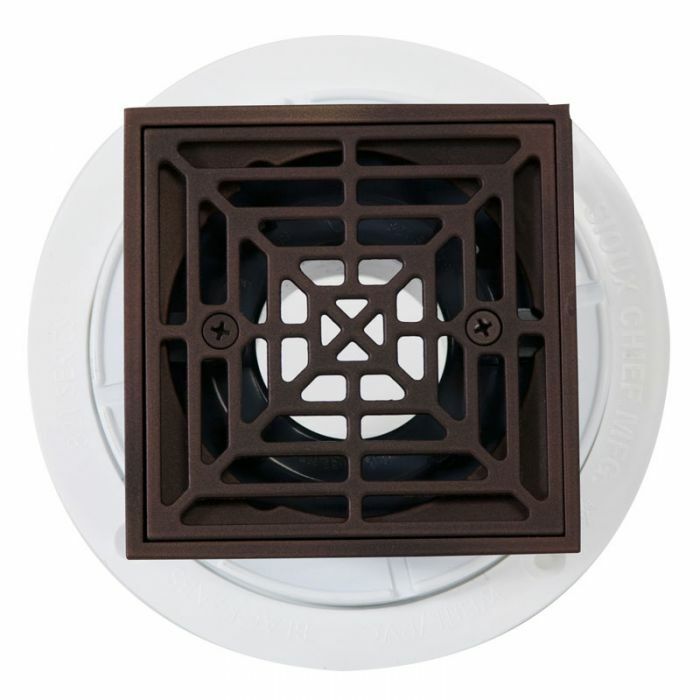 Features a Square Strainer with an Oil Rubbed Bronze Finish. Ideal for wet areas like tiled showers, baths, etc. Weep slots and holes on both sides of collar maximize drainage. Brass inserts in collar and tailpiece prevent damage from tightening. Drain body has a membrane flange and a 2" Sch. 40 hub connection. Connection to DWV system shall be made with a solvent wet joint to PVC pipe. Over 2" of height adjustment. Adjustable Height: 3-15/16" - 5-15/16"